The Sun King's Court provides the setting of the final concert of the summer series. Louis the XIV's great love of music and the arts – yes, it was for his own glorification, but – it left us a rich and glorious treasure of music that we will present on Friday, August 17, 7:30 p.m. at St. Paul's Episcopal Church, 40th and Main. What a glorious concert it will be! Kansas City Baroque Consortium will take a musical journey to Versailles. Read on below for more about the concert! With guests and members of KC Baroque. Sarah Cranor, Leighann Daihl Ragusa, Dorothy Glick Maglione, Victor Penniman, Monty Carter, Nell French, Rebecca Bell, Jeff Noonan, Trilla Ray-Carter. Who was Louis XIV? As the self-proclaimed “Sun King,” was he a tyrant who ruled the people of France with an iron fist? Or was he a titan of benevolence, who oversaw an extraordinary expansion of arts and culture as France flourished during his reign of over seventy years (1643-1714)? Of course, he was both—and it cannot be denied that his autocratic oversight influenced the artistic advancements of the late seventeenth and early eighteenth centuries. Historically Informed Performance meets Original Pronunciation. Songs, Sonnets and Soliloquies from Elizabethan England! [HIP] is the acronym we use for historically informed performance, i.e., the exercise of exploring early music on period instruments (such as those with gut strings and odd shaped bows). Some prefer to call it historically inspired performance. My experience has been eye, ear, and mind opening. There are inherent and fascinating implications for musical interpretation presented by the tools of early music. A few years ago, I stumbled across a fascinating video about a father and son team from Wales, who were exploring English as it was spoken in Shakespeare's day, and applying it to the Bard's works. The father, David Crystal is a British Linguist, who had held a chair at the University of Reading for 10 years, and is now Honorary Professor of Linguistics at the University of Wales, Bangor. His son, Ben is a Shakespearean actor, author, and producer. He is well known for his work performing and promoting William Shakespeare using original practices, especially in the "original pronunciation". "OP performance brings us as close as possible to how old texts would have sounded. It enables us to hear effects lost when old texts are read in a modern way. Rhymes that don't work in modern English suddenly work. Puns missed in modern English become clear. New assonances and rhythms give lines a fresh impact. OP illustrates what is meant by speaking 'trippingly upon the tongue' (Hamlet)." Listening to their video, I thought they could have been speaking about HIP! There is a remarkable parallel here, and we'll explore it in our first concert with songs, sonnets and soliloquies of Shakespeare, and the music of Elizabethan England!. Have a listen to David and Ben Crystal talking about their research, and demonstrating OP, then reserve your tickets for our opening concert, June 15 at 7:30 p.m. at St. Paul's Episcopal Church, 40th and Main in Kansas City. Tickets go on sale May 7th! The eve of the Classical Period featuring Charles Metz, Fortepiano, with members of KC Baroque. See below for details about Charlie's Fortepiano! Friday, July 20, 7:30 p.m.
Our dear friend, Charlie Metz, whom you heard last summer perform a witty, charming and exquisite Harmonious Blacksmith (Handel) on our final concert, will be back for our Shakespeare concert in June. But he'll also be here in July and is bringing along his newest acquisition! (see below). 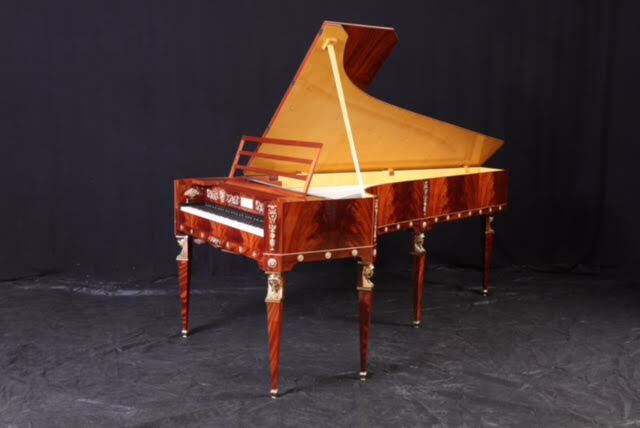 A Fortepiano, commissioned from Paul McNulty, modeled after the famous Viennese builder Anton Walter, the leading designer of fortepianos in Mozart's day. The case is a beautiful patterned Nigerian Mahogany with Viennese Empire designed decorations in gold leaf. "Bach is the father, we are the children." – W.A. Mozart. One would assume he was speaking of J.S. Bach, and certainly from a composer perspective, he fathered several fine musicians and composers. But Mozart was in fact referring to C.P.E Bach, the second son of J.S. and Maria, who ushered in changes that led to the Classical Era. Our concert will feature several composers from the eve of the classical era including Francesca Le Brun, W.A. Mozart and more! with Sarah Tannehill Anderson, Hannah De Priest, Jay Carter, Sam Anderson, and more! 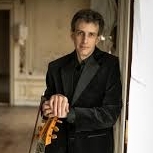 Friday August 17, 7:30 p.m.
Our final concert of the summer will be a feast for the ears, with luscious French works from Versailles including Jean-Philippe Rameau's Quam dilecta tabernacula paired with a new commission by Anthony Maglione. 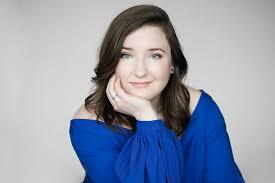 The concert will featuring sopranos Sarah Tannehill Anderson and Hannah DePriest, countertenor Jay Carter, and Anthony Maglione, haute-contre. "A hard-working and meticulous ruler who oversaw his programs down to the last detail, Louis XIV nevertheless appreciated art, literature, music, theater and sports. 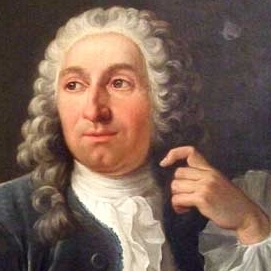 He surrounded himself with some of the greatest artistic and intellectual figures of his time, including the playwright Molière (1622-1673), the painter Charles Le Brun (1619-1690) and the composers Jean-Baptiste Lully (1632-1687) and Jean-Philippe Rameau (1683-1764). He also appointed himself patron of the Académie Française, the body that regulates the French language, and established various institutes for the arts and sciences. "To accommodate his retinue of newly devoted nobles (and, perhaps, to distance himself from the population of Paris), Louis built several lavish châteaux that depleted the nation’s coffers while drawing accusations of extravagance. Most famously, he transformed a royal hunting lodge in Versailles, a village 25 miles southwest of the capital, into one of the largest palaces in the world, officially moving his court and government there in 1682." You'll receive behind the scenes details about the composers, their works, the performers and more!